I sort of knew it would happen...it was only a matter of time. There was once a time when I said life was too short to make your own knickers but then I have really got back into sewing. 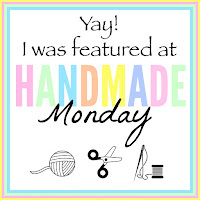 I want to sew anything and everything because you see, I just love learning new stuff. How does the gusset fit with the seam on the inside, I wondered. I enjoyed the post made by Lazy Daisy Jones here. Then I tried to win a giveaway in a magazine for a kit. In the end I bought a kit. It was £15 from Flo-Jo in Bristol and it has been worth every penny of joy I had making these gorgeous frillies. You get the fabulous fabric, jersey for the gusset, ribbon for the bow, knicker elastic and a full pattern to make sizes 8 - 18. 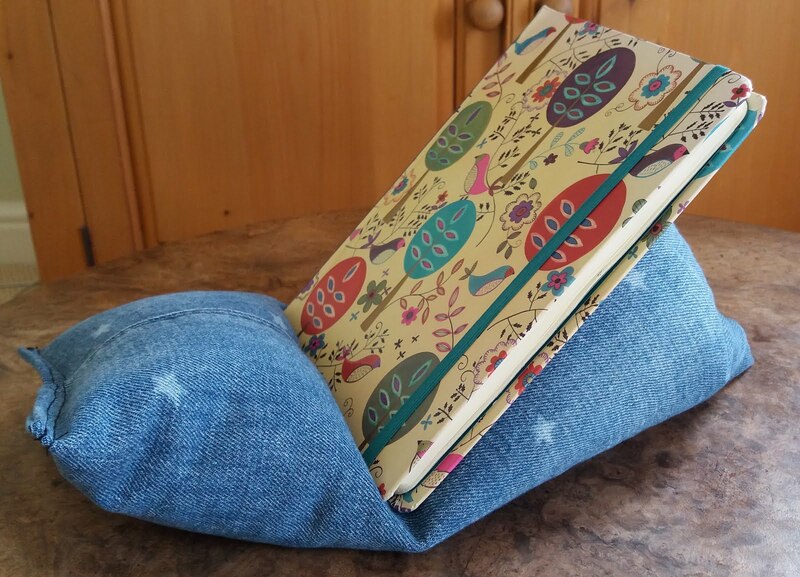 All you need is a sewing machine, a cup of tea and a sense of sewing adventure. There is even a little label to sew in or out as I chose to do. I can see potential here for using up my 100% cotton scraps and fat quarters to make fun birthday presents for my closest friends. You know, the ones I would feel able to give a punt-on-their-size sort of friends. Then it all went a bit crazy over the last two weeks and I had so much fun with knicker-love for my friends. I mean liberty knickers, who wouldn't want a pair of these? I even had to order more elastic I was having such a good time. I normally end with 'Thanks for looking' but that seems a bit strange today!! I have been crafting my way through my stay-at-home years. I didn't really care if I needed it, I just made stuff to keep my brain busy because I love learning. I made a great deal of stuff out of given items and materials as the pennies were a bit tight but now, the here and now, it feels a bit different. Roll up my black cardigan. Some of you may think you would just go and buy a black cardigan but I am really enjoying knitting something that I know I will get a lot of wear out of. I chose the blue cardigan on the right. It has really deep rib on the bottom for a neat nip on the waist perfect for over dresses and sleeveless shell tops. I think we can all agree this post isn't really going anywhere is it? That's plain black for you... Suffice to say I will call in with the finished cardigan in a few months time. What are you working on? Is it fancy or basic? My friend does house clearances, she turns up a surprising amount of weird and wonderful things. She has an eye for the kitsch, something I am not very good at at all. She always keeps me in mind if she finds haberdashery or fabric bits and pieces. She bought a heap of haberdashery to sell on and asked me to go round and help her identify the stash, she is not a sewing person. There was tons of it. I couldn't really come away empty handed. She knew not of waistband interfacing, bias binding, knicker elastic, bikini fasteners or the belt kit at the top. I have used the waistband interfacing. The crochet edging you may recognise from my red t-shirt. I have used the grey zip in a bodycon dress that was truly awful hence you have not seen it! Sadly the belt kit was missing instructions and even with my inflated confidence, couldn't work out how to make it; then I realised the pin was missing! Last night she said she had a buyer for the whole lot and did I want to go and get anything before it was gone. I came away with s handful of zips, more elasticated lace, little belt buckles, crochet lace in the softest pink and essentials like elastic and waistband interfacing. She also rooted out some useful pieces of fabric which she gave me from her hoards of stuff. She said, "I thought this cord was really you!" How right she is, what a dear friend. She didn't even know my new years pledge to only make clothes that go with things that I already have - look at the potential of a cerise boiled wool skirt and matching cotton blouse - exciting stuff. Lots to think about there. Any ideas for the cord? I wanted flowery jeans but there isn't quite enough. I accidentally started making a blanket. I didn't mean to but all that knitting woe in March made me want to succeed at something. I have sorted the purple leftovers into a summer dress top and the red school cardigan is or course finished so just the man knit to regain motivation on. I have wanted to try the clamshell crochet stitch from Cherry Heart for a while now but couldn't face a massive blanket project. My cousin revealed to me that she is having a baby girl so I thought a car-seat-pram sized baby blanket would be the perfect size to try out. After about three rows I turned off the tablet thinking I knew the pattern. I crocheted on only to realise I had been doing it wrong but I liked the jelly bean effect so I made a clamshell stitch on the top and bottom to get away with it. Can you spot it? The yarn is a dent on the last of the Art if knitting yarn I was given a couple of years ago by my mum's friend so it is a freebie pressie which was ultimately satisfying to make. But you know, as ever there are still scraps. I hate putting scraps away so I made this too on the train to Stratford the other week while a small nine year old boy watched me then I taught him to read a crochet pattern because he could already crochet!! I know amazing... he actually understood it and read out the decreases as I did them on the head. I let him stuff the head because he was so keen. Talking of scraps..
Ahh, so that is why I kept that teeny bit of black yarn...for eyes on toys. I wondered what it was doing in there. She is really rather lovely. I am a bit picky about hand knit toys but this one is a corker. You can get this giraffe pattern free from Ravelry HERE. This one is for Little M because I promised it her ages ago. She has called it Gerry. I have been trying out lots of shift dress patterns this year and not all of them have been successful. This one however was an easy make and very wearable. 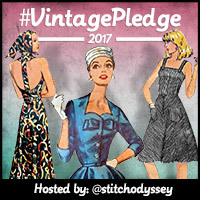 I have tried vintage patterns with alterations, a modern body con dress pattern that was a bit on the snug side in the wrong fabric, my pleat fronted tropical dress that was a fabulous fit and now this. A straight forward short sleeve shift. 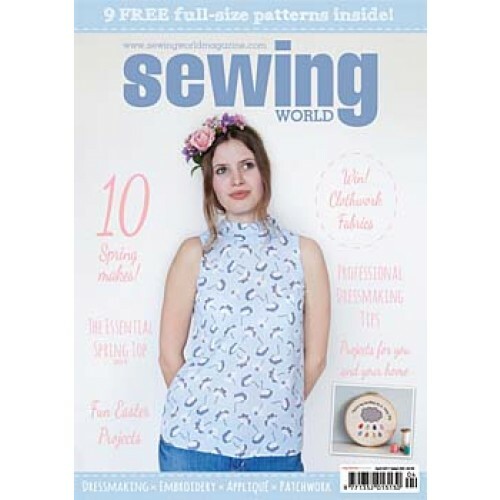 The pattern was free in Prima magazine March 2015. I like free magazine patterns, you don't get too precious about them, you can just hack away and make what you want using them as a basis. All I did to this one was shorten the body and move the darts up to my waist. This retro pattern is really pleasing to the eye and a stylish change to flowers. The background is navy with a bubble tree motif in a perfect size pattern repeat to not worry too much about pattern matching. The quality of the cotton was beautiful which made it easy to press and did not require lining. It is from Minerva. I have worn it with leggings and flats as well as tights and heels to dinner at our family Easter night away in Aberdovey. It is a pretty, must have, wardrobe staple and I will be enjoying this pattern again I'm sure. This photo will always remind me to take a hairdryer on holiday. 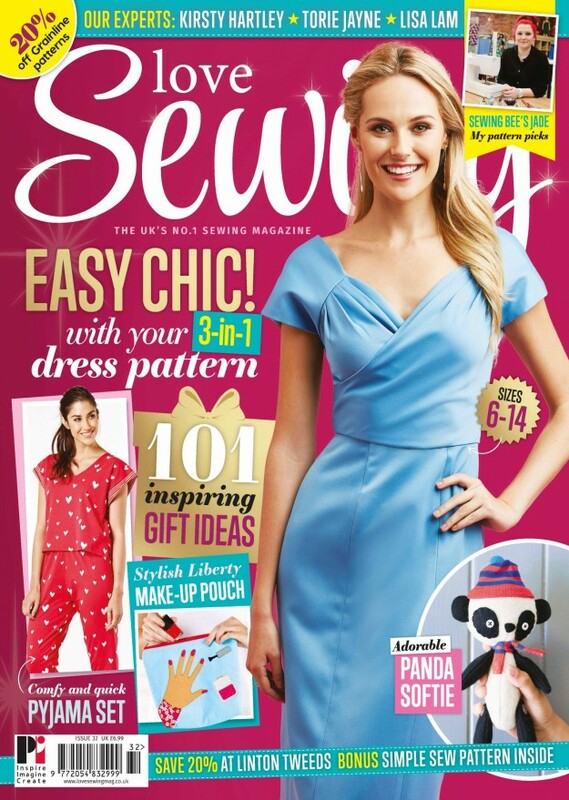 If you are new to sewing try out magazine patterns as a way in. They are often simple with clear instructions which don't assume you know how to do certain techniques like the language used on commercial packet ones. A little family picture with all of us wearing homemade outfits: three dresses and a waistcoat. If you make one thing this summer make a shift dress, I say. Thanks Minerva, it is totally beautiful retro fabric. Amy at Love made my home posed the question yesterday 'What is in your basket?' Hers was full of lovely haberdashery and creative gadgets. Our basket has a slightly different juxtaposition. We have THE stairs basket. We live in a three storey house (hence the blog name) and we have a basket at the bottom of the stairs for small items that don't warrant a full trip up to bed-ford-shire. It turns up a surprising amount of tat. Sunglasses,icing nozzles, plastic frogs, nail scissors, hair clips, shearing elastic, swimming goggles, hairbands, buttons, a whopee cushion, hair clips, duplo figures, nit comb, hairbands, jewellery, Sudocrem, loom bands, hair clips, crochet hook, hair clips!!! PS. Thanks for your interesting comments about school uniform. I enjoyed reading them. How do or did you feel about school uniform? I have mixed views. I like that my children can get dressed quickly in the morning without negotiating with them. I like that children from all backgrounds look the same without prejudice of clothing brands. They are also inexpensive and readily available to buy. However, my girls would love to wear their own clothes. They have so many as we are given bags of them from my friend with three girls but in reality they wear red gingham five days a week. Children find it really hard to locate their own stuff at school too, after all they are all wearing the same - except of course if your mum makes stuff for you. Big Sis asked why she had to wear a uniform the other day and observed, "Why do we need to look like grown ups going to work?" I had to agree with her but I gave the advantages to provide a balanced argument. Last week I went in the loft to get Little M a couple of school summer dresses but the one she liked with big pockets had a big marker pen strike on the front so I cut it into a skirt before her very eyes - I was a very popular mum, she was mightily impressed. Then Big Sis wanted a skirt because all her blouses still fit and she likes wearing them so I made a pleat fronted skirt with an elasticated back, looked a bit more grown up for her. In keeping with my new years resolution to make only garments that go with the rest of my wardrobe (to avoid flowery-dress-overload-syndrome) I saw this modern t-shirt design on the pattern I used for my summer trousers from Sew Home & Style magazine. I added a thrifted crochet lace edging because I only had 1 metre of the jersey and I was a bit short on the length. It is an unusual jersey with a nice texture but also light and airy. It is from myfabrics.co.uk my go to website for jersey fabric. The back has a small opening and a button fastening. I bought this piece of jersey from myfabrics too and they have sent a discount code to thank me for linking to their fabric website. My fabrics have kindly sent a discount code for my readers to get £10 off when you spend £35 online. When checking out please use this code before 17.05.15. 3STORIESHIGH. Happy Shopping and share the code on your blogs. My children are still at the age where a hand knit school cardigan is something they are happy to wear proudly and tell their friends all about. I know the day will come when there will be a refusal but I am in total denial about that at the moment so I gladly knit one each term. This is made from Sirdar bamboo and is really silky to the touch so is ideal to wear with a short sleeved school dress.I got the back to match the fronts eventually! My favourite yarn to knit school wear from is Patons Smoothie. It washes over and over without going bobbly and dries quickly but looks like cotton. Between my mum and I we have amassed quite a few over the infant years. This is for Big Sis in summer term, a cotton linen short sleeved, short body cardigan to wear over her school gingham dress. All she needs now is a longer skirt, that girl is growing fast. I might try something pleated. What a happy couple of weeks I have had. Making things (obviously). I've been enjoying the company of our girls in the Easter Holidays along with good weather, rare. We stayed in a posh hotel with a swimming pool for a night and had a windy run on the beach which is a treat for us in landlocked Shropshire. However, I did have a bit of work thrown in for good financial measure and a teeny bit of sanity. The Easter Holidays ended with a splendid blog meet up in Stratford-upon-Avon on Saturday organised by Gilly from Gilly makes. We went to Sew me Something haberdashery where I had already promised myself the Kate dress pattern after seeing the ones that Gilly had made. In fact by Sunday I had made quite a start on the pattern, more on that another day. We chatted about normal things like: using other peoples wheelie bins without asking, buying an overlocker out of someone else's money, how some men are good at taking blog photos and videos, hiring a pineapple for a dinner party, slug control; of course and a good old compare of crochet stylistics. It was fun and comforting to know that as a group of craft bloggers, we never ran out of topics of conversation the whole day. There was exercise too, holding our own body temperature alone used up plenty of calories especially for those without a cardigan (you know who you are! )but the walk down to the River Avon gave us plenty of photo opportunities. Jane from Plain Jane realised it was a rabbit after about 4 hours into the day but to be honest I was turning it round and round thinking 'where are the chicken's feet?' until, like a magic eye picture, a cute little Easter bunny appeared before my eyes. It is a fantastic little pressie, I love it. 'Daisy' from Lazy Daisy Jones gave us funky crochet slugs while I had the pleasure of sitting next to her TOH, you may know him as Mr February, he was delightful company. The wonderful host herself handed out a pretty and useful pin cushion jar. I am so going to copy that idea for my auntie for her birthday. Finally the juiciest cherry brooch from Amy at Love made my Home. She was the giggliest, most heartwarming person I have met in a long while. What a joy. I like to make people laugh but Amy was easy pickings for the whole day, I probably said too many swear words but I really enjoyed her company over afternoon tea. It was great to meet you Amy. The last triumph for me after a brilliant couple of weeks was that on Sunday night Big Sis learnt to Treble crochet and my heart skipped a beat. She made a granny square and I had to coax her to bed because, just like her mum, she wanted to start a whole blanket at 7:15pm! I only have myself to blame. Thank you Gilly for a fabulous blog meet up and to all the bloggers who were such great company but not mentioned here for fear of mixing them up all the wrong people with the wrong blogs! Have a great week folks, whatever you are up to.